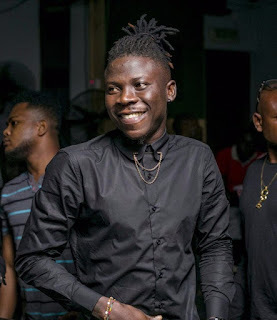 Ghpage.com has spotted a video shared by dancehall artiste, Stonebwoy, that shows the military officer who lost his life together with Ebony, Francis Atisu Vondee, playing a melody with a guitar. Singing in the Ewe language, Vondee is seen nodding his head to the rhythm of his playing song. However, social media users reacted to the video with sad comments. @nanayaa_soregal commented that “So touching and the fact that they both chose two of your soulful songs ??”. @etornam_livingstone also wrote “A hero from Volta has fallen again. RIP brother”. The driver, however, managed to survive and is currently on admission at an undisclosed hospital. Further reports revealed that though Vondee was in military uniform at the time of the incident but was not performing official duties.